Jamie Cox has a general administrative law practice. She is a former Assistant Attorney General and routinely handles matters before the Administrative Hearing Commission and various professional licensing boards, including the State Board of Embalmers and Funeral Directors, Board of Cosmetology and Barber Examiners, Board of Optometry, Missouri Dental Board and the Board of Nursing. 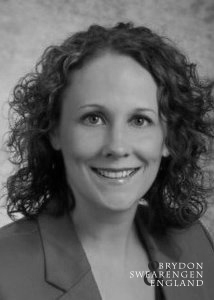 She also represents agency clients in judicial review of their decisions before the circuit courts and courts of appeals.In her practice, Jamie has handled cases pending before the State Board of Education, the Missouri Ethics Commission, the Missouri Gaming Commission, the Missouri Department of Health and Senior Services, and the Missouri Department of Mental Health, and she has also assisted in cases pending before the State Board of Registration for the Healings Arts, the Bureau of Narcotics and Dangerous Drugs, and the Division of Alcohol and Tobacco Control. Jamie is a graduate of the University of Missouri-Columbia School of Law. In law school, she was a member of the Journal of Dispute Resolution, and she received the Judge L.F. Cottey Advocacy Award for excellence in oral and written advocacy.